ON A SMALL ISLAND, I GOT BIG RESULTS. 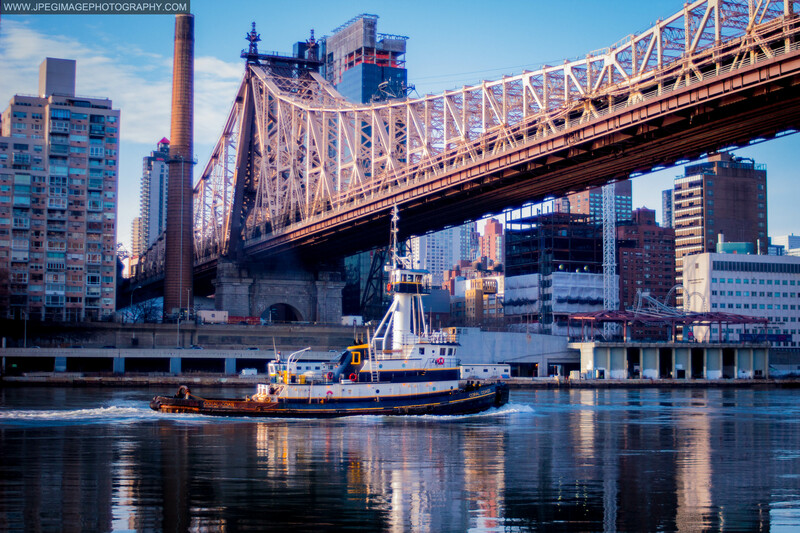 Recently I had traveled to Roosevelt Island in New York City. Roosevelt Island is a narrow island in New York City’s East River. It lies between the island of Manhattan to its west and the borough of Queens to its east, and is part of the borough of Manhattan. Two photography friends/colleagues and myself traveled out to Roosevelt Island to explore the island and do a photowalk of the land. 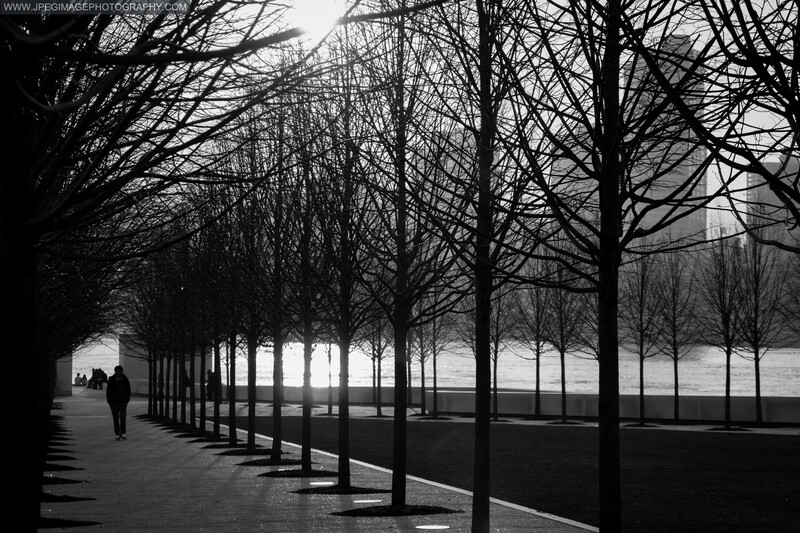 Granted we all (my fiends and I…) have been to Roosevelt Island before on different occasions, but have never really taken the time to photograph it. We all wanted a “change of pace” from our usual photowalks around Manhattan, Brooklyn and Queens that we have done in the past, and we all thought that Roosevelt Island would be a good place to go.Myself I also wanted to do some more testing on a Canon 35-70mm lens that I had recently purchased, so for myself this photowalk was as well a good proving grounds to test the lens and to put in more time on using it. My camera configuration for this photowalk was the following: Canon EOS 600D with a Canon EF 35–70mm standard zoom lens aperture f/3.5-5.6 as the primary lens that I was testing. The primary backup lens was the 28–90mm standard zoom lens aperture f/4 to f/5.6. Just in case I was not happy with the performance of the 35-70mm lens during this photowalk. Now with this configuration I will say right now that I only used two lenses and not all three. The 28–90mm was not used at all. The 35–70mm f/3.5-5.6 lens actually did a better job than I thought it would do, hence the latter part of my blog post title “I got big results.” The two paragraphs below will give you an idea of how I do my photography processing workflow. Or “workflow” as it’s usually called among photographers. Let me explain what happened. After the photowalk was done and I went home and a day or two later I downloaded the photos from my camera into my 13 inch MacBook Pro that I use for all of my image processing. Personally I love the screen size and processing power of my MacBook Pro. And I use Adobe Lightroom for all of my editing needs, I have ACDSee, Aperture, EOS Utility and Digital Photo Professional but I never really have a need and, or use for it since Lightroom can easily handle everything I need to get accomplished for my photo editing. If anything I would use EOS Utility for my Inventory ID number format conversion from the cameras original numbering of photos from IMG_xxxx to my custom filing numbering of MMDDYYLC-IMGxxxx during download and transfer to my MacBook Pro. Digital Photo Professional would be used for a quick scan/check of my images before editing in Adobe Lightroom. And ACDSee for any light metadata corrections, which I may have originally missed in editing and processing via Adobe Lightroom. And of course I use my MacBook Pro Time Machine for backing up to an external hard drive. Everyone that does photography has their own workflow that works for them. There is no right or wrong way, just simply find a workflow/process that works best for you and your needs. Some might consider my process “complicated,” I think it’s more “procedure” and in stages myself. Procedure and stages I find works best for me. It was during my Adobe Lightroom stage of my workflow that I started to notice something. What I had noticed was that my photos were leaving me with a sense of “Wow this looks dam good!” type of feeling in my mind after reviewing a photo after final processing. Usually I like my photos to look very sharp, clear and bright with colors, or very crisp if done in black and white and be somewhat able to tell a story within the image. But this time I was just getting this “Wow this looks dam good!” type of feeling from quite a few of the photos that I had taken. This does not happen to me often. Only in a “once in a blue moon” moment when I take that one photo that comes out better than I originally thought. If I take lets say for conversation sake thirty photos during a photowalk, maybe one or two might give me that “wow” feeling. But when that “wow” feeling comes out for five, ten or more. I had to stop and wonder what’s going on. During this photo walk I had taken close to two hundred photos. I reviewed the photos that I had already processed. It was a mix of photos from both lenses that were used that day, the Canon EF 35–70mm lens and the Sigma 70-300mm lens. But the ones that I was getting this “wow” feeling from were from the 35-70mm lens. Granted all the photos came out quite well. But the ones taken with the 35-70mm lens just really stood out to me. So I thought to put my “Wow this looks dam good!” feeling to the ultimate test. And that test was social media. I posted a few of the so-called “wow” photos to my various social media sites. And the feedback I had gotten was quite impressive. They were “liked” quite a bit on various social media sites that I used, and some of the photos where record breakers in the amounts of views, comments and likes that I received. Can’t say exactly why this was the case? Maybe there’s something about that 35-70mm lens? Who knows? I don’t think it was from my workflow and editing. For I personally try to do a very small amount of processing on the photos that I take. The most I will do is clean up any spots, and maybe crop a little, cropping is rarely done but I will do so if requested or needed. Also I personally think that cropping a photo takes away or alters a photographs story. Or even adjust exposure and colors that I will do accordingly and if needed, as well adding my watermark but for me my photo editing software whether it’s Aperture, ACDSee, or Adobe Lightroom that’s on my Mac is to correct little imperfections but not for making pictures. Or maybe the conditions that the photos were taken under was just perfect? Who knows? 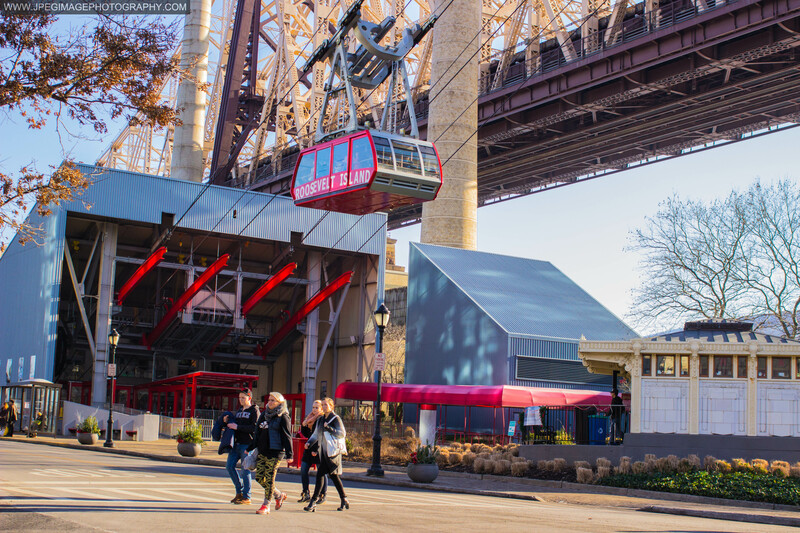 Below are the some of the photos that I had taken during my photowalk of Roosevelt Island that were such a hit with myself and people on social media. Feel free to take a look and review, and let me know what you think. Hopefully you will be left with a “wow” feeling as well. 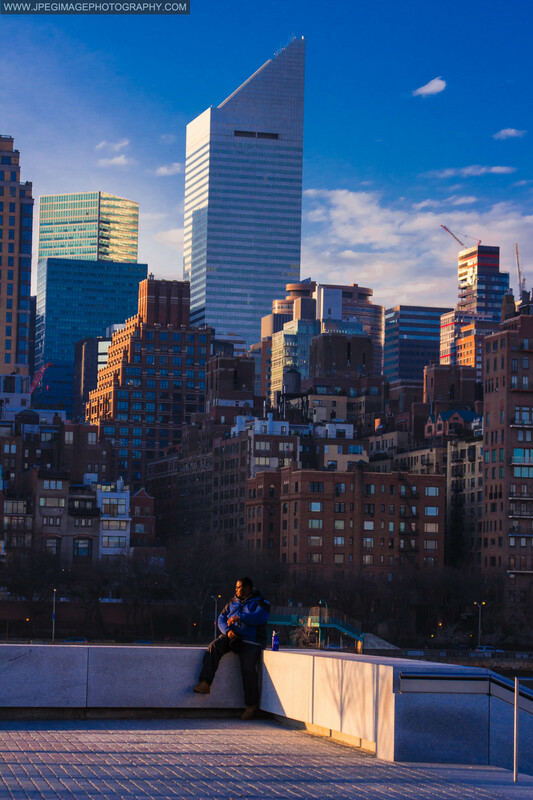 Male individual sitting at Franklin D. Roosevelt Four Freedoms Park plaza, located in Roosevelt Island New York, behind him is the Citigroup Center building in midtown Manhattan. Saturday December 21, 2013. 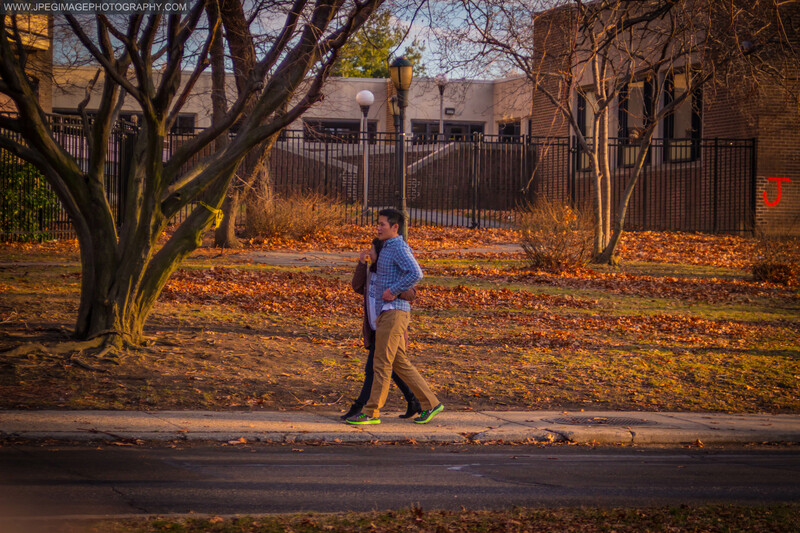 Couple walking downs a local street in Roosevelt Island New York Saturday December 21, 2013. 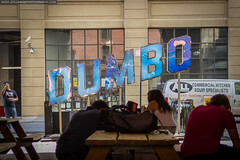 Hope you enjoyed reading this post and seeing the photographic tour of my photowalk. Thanks for reading and viewing.